To many people, their office or workplace is a safe space, even if it may not be their favorite place to go 5 days a week. They may reconsider after a critical situation such as an active shooter makes headlines, but once the dust settles, complacency tends to set back in. For Greg Shaffer, one of the nation’s leading and respected policy experts in the prevention of domestic terrorism and active shooter events, complacency is not an option. 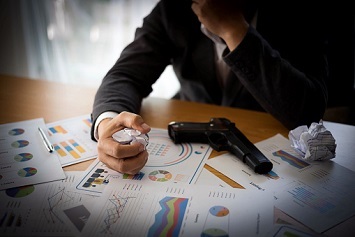 Recent instances of workplace shootings that have made news have all involved a single shooter, often with a grievance, choosing a high-profile target. The shootings at the UPS sorting facility in San Francisco, CA, and the YouTube campus in San Bruno, CA, come to mind. But these incidents do not reflect the majority of workplace violence events. “Another hurdle employers have to overcome,” Shaffer states, “is the fact that their employees who are victims of domestic abuse are frequently reluctant to share their circumstances.” This reluctance is driven, in part, by the stigma associated with being a domestic abuse victim. Even worse, the victim may actually believe that their abuse is deserved. Shaffer suggests that implementing a workplace violence policy that includes language addressing domestic spillover is a start. Regular review of this policy with employees can help to alleviate concerns. What he states most firmly, though, is that “these policies must be endorsed and communicated from the top down.” For the policies to have real effect, there must not only be C-suite buy-in and implementation, but the employees must sincerely believe that their workplace is a safe haven. Greg Shaffer will be discussing approaches to Active Shooter Response at the upcoming Total Security Summit in Plano, TX. The two day event takes place on June 25 and 26, 2018. 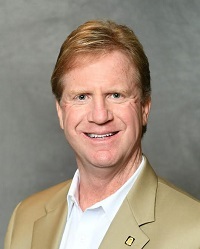 Security Expert Greg Shaffer is the founder and President of Shaffer Security Group, a global security, risk management and tactical training specialty firm based in Dallas, Texas. Greg is recognized as one of the nations’ leading and respected policy experts in the prevention of domestic terrorism and active shooter events. Prior to founding Shaffer Security Group, Greg served for over twenty years in the FBI, with positions including supervisor for the North Texas Joint Terrorism Task Force, Counter Terrorism Supervisor, and as a member of the elite Hostage Rescue Team.